Five myths about hand washing for influenza season. Proper drying tops off handwashing. Winter’s flu season is once again here. There are millions of microbes in hands, and most of them are also infected via hands. That is why there is over million reasons for regular handwashing; proper hand hygiene is the easiest way to prevent infections from spreading. “Hands should be washed several times a day. It is good to remember that proper drying of hands tops off handwashing. 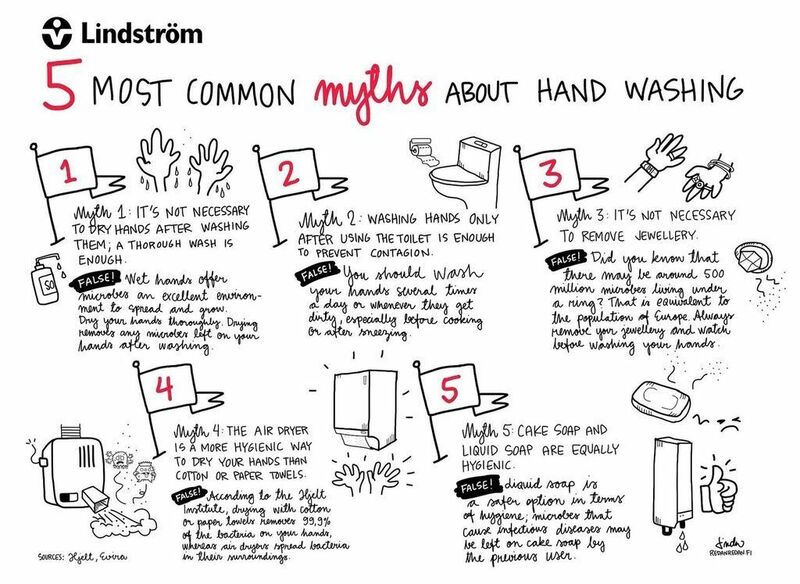 According to studies cotton or paper towels are the best materials for drying hands, because the mechanical abrasion produced by using them reduces the amount of microbes in hands essentially*,” says the expert of hand hygiene at Lindström, Marja Hautanen.